Ian Hetherington, director general of the British Metals Recycling Association (BMRA), said seeking an injunction against the scrap metal cash ban was “a fruitless diversion”. “BMRA fought hard against the government’s proposal to ban cash transactions when it was first mooted in January 2012, on the basis that it was a draconian measure that would have no impact on metal theft. “Furthermore BMRA had reached agreement, at that time, to launch the trial of Operation Tornado in the North East, on the basis that the most effective way to control the disposal of stolen material was to secure the identity of the seller. We have been proved right; there has been a dramatic fall in the rates of metal related theft across the trial area. “The government ignored the evidence of Operation Tornado and went ahead, in the face of the industry’s active opposition, and incorporated the cash ban into the Legal Aid, Sentencing and Punishment of Offenders (LASPO) Bill which gained Royal Assent in May of this year. “The ban will come into force on 3 December with all its many imperfections. It is now for government to take action and ensure the necessary reforms of the 1964 Scrap Metal Dealers Act are made law to close the loopholes that will be highlighted by the cash ban. “It’s more important than ever that the industry sticks together through this difficult time and works to prepare for the implementation of the cash ban. Trying to launch legal action against it is a fruitless diversion. 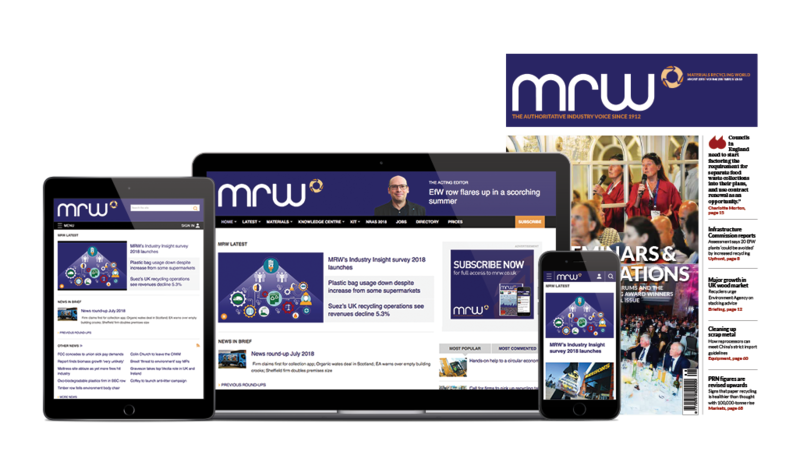 “BMRA has kept its members updated on the situation on a regular basis and is pleased that MRW, in conjunction with BMRA and the Home Office, has produced guidance for metals recyclers in this week’s edition of the magazine. •Take part in MRW’s survey on how the industry is preparing for the cash ban. The BMRA has been totally useless from START to FINISH.